If you’re ready to tour Europe and you plan to be there for an extended period of time, you cannot miss Italy as this has been one of Europe’s most longstanding nations that have been the center of just about everything. From the Roman Empire to the establishment of the Vatican, the birthplace of the Renaissance and even the post-modern era, there are so many things to see especially in one of its largest cities, Florence. So what are some of the top attractions you should see when visiting Florence? One of the world’s oldest bridges with its original construction still standing for over 1,000 years, the Ponte Vecchio is an attraction you can’t miss when you tour Florence. It isn’t just any old bridge. This bridge is like a mall that spans the Arno River, and if you were to walk across it, you might not even be able to tell the difference from the regular streets until you enter a shop and look out your window. But even if you weren’t interested in shopping on this bridge, there are many other events such as theatrical performances and shows hosted here that make it very popular. The center of Florence and attraction that you might see first when arriving from a distance is the Duomo. Its official name is the Cattedrale di Santa Maria del Fiore, but it’s just simply called the Dumo because of its magnificent dome on top. It was designed by renowned architect Filippo Brunaschelli and it still holds regular religious events today. Most people will tell you the interior of this church is less spectacular than the exterior, but you can climb to the top of the dome and get a great view of Florence and the surrounding Italian countryside. Just be aware you may need to get there pretty early in the day. Your visit to Florence wouldn’t be complete without seeing its many art museums including the Galleria dell’Accademia where Michaelangelo’s famous David sculpture is. The great thing about this museum is it won’t take you all day to see and it’s a good place to stop if you’re passing through on your way around the city. Besides Michaelangelo, you can also find works by artists like Botticelli, Giambologna and Ghirlandaio in various halls. Leonardo da Vinci was one of Florence’s most brilliant minds and one of the fathers of the Renaissance. He wasn’t only an artist, he was a scientist and inventor who pioneered ideas that even modern scientists still talk about. 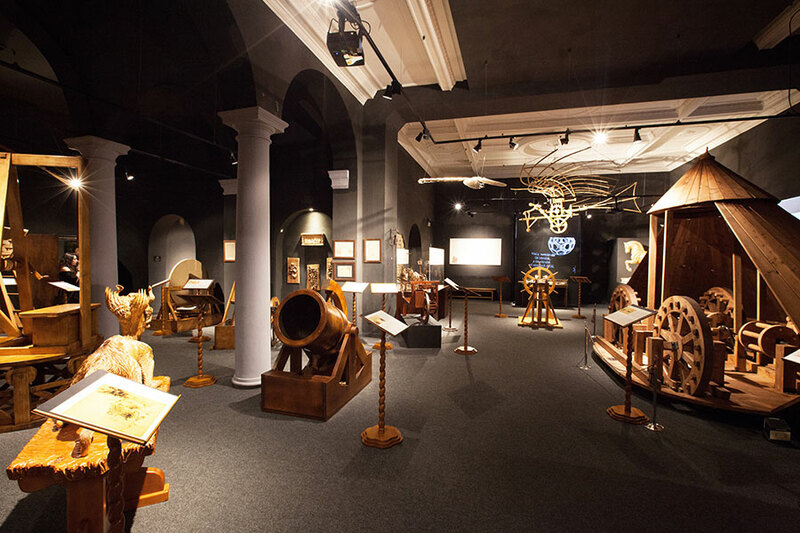 It’s definitely worth your time to visit the Leonardo da Vinci Museum as it has replicas of his work and stunning interactive exhibits. Some of the favorites you might enjoy are his army tanks and flying apparatuses. How Can You Afford A Florence Tour? Florence is a majestic city of historic attractions as well as rich Italian food and wine, but getting there and enjoying all of it does cost quite a bit of money. However, auto title loans in Tampa, FL are one way you can pocket money for a Florence, Italy trip without having to wait years to save for it. All you need to do is just sign over your vehicle title to a title loan lender, and you’ll have your cash for the trip shortly after.